London, UK, and Hoofddorp, The Netherlands – 28 February 2018: Ergomed plc (LSE: ERGO) (‘Ergomed’ or the ‘Company’), a specialised pharmaceutical services and drug development company, together with its rare disease subsidiary PSR Group BV (‘PSR Orphan Experts’), a specialised contract research organisation focusing on orphan drug development, today announced its support of this year’s Rare Disease Day®. Being held on February 28, Rare Disease Day helps to raise awareness of rare diseases and in turn improve access to treatments. As part of its commitment to the rare disease patient community, PSR Orphan Experts will be hosting a beach volleyball tournament to raise money and awareness for children suffering from epidermolysis bullosa (EB), a partly hereditary and incurable skin condition. Themed “Sport mee voor het vlinderkind” (Let’s play sport for the butterfly child), the event will take place at Aalsmeer beach on March 6, 2018. The funds raised will go to “Debra Nederland”, a Dutch patient organisation for people with EB. As the slightest friction of simple day to day activities – for example, showering, chewing, cuddling or wearing clothes or shoes – may cause blisters on the skin of EB patients, children with this disease are called butterfly children – their skin is as tender as butterfly wings. In Europe, 30,000 patients are estimated to be affected by this disease. Despite the constant growth in orphan drug development over the past 10 years most of the 7,000 rare diseases, many of which are genetic, and the majority of patients with rare diseases remain underserved. Because of the rarity, heterogeneity and the complex patient management associated with rare conditions, creating and executing an orphan drug development programme presents some of the highest hurdles in medicine. In recent years, there has been a rapidly growing demand for trials in rare and orphan indications because of legislation in both the US and the EU that has established incentives to support research in these areas, making it more financially viable, and the growth of both precision and preventative medicine. On Rare Disease Day, PSR Orphan Experts usually supports a local rare disease organisation, that could benefit from better awareness and funding. PSR Orphan Experts hopes to be able to expand this annual initiative for rare diseases throughout other regions of Europe and MENA. In addition to this annual event, PSR Orphan Experts is also active at other local events and last year coordinated the Rare Disease Symposium in The Netherlands which focused on the prospects for rare disease patients in 2030 in order to improve the future optimisation of orphan disease treatments (see www.rarediseasepatient2030.com for more info). 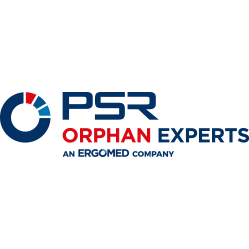 PSR Orphan Experts, as a subsidiary of Ergomed, is one of the very few companies exclusively focused in orphan disease drug development and recognised as a leading expert in assisting biotech and pharma companies in the rare disease niche. It is our mission to make a significant innovative contribution to the availability of new treatments for rare disease patients. The Company is a full service specialist orphan drug CRO with a vast experience of conducting complex trials in designated rare indications. Through its Site Management model and Study Physician Team Support, that allows smooth interaction of the sites and patient organisations and advocacy groups, the Company has shown that it can locate and support sites in studies of ultra-rare diseases for which recruitment can be highly problematic. PSR Orphan Experts has successfully prepared EMA and FDA Orphan Designation applications and follow-up regulatory interactions as well as established links with physician networks, key opinion leaders, other government bodies and patient groups. Besides outsourced project solutions, PSR Orphan Experts provides insourced staffing solutions (orphan drug teams), temporary & permanent staffing, interim management solutions as well as training / coaching career programs. Rare Disease Day takes place on the last day of February each year, thus on February 28, 2018. The main objective of Rare Disease Day is to raise awareness amongst the general public and decision-makers about rare diseases and their impact on patients’ lives. The campaign targets primarily the general public and also seeks to raise awareness amongst policy makers, public authorities, industry representatives, researchers, health professionals and anyone who has a genuine interest in rare diseases. The campaign started as a European event and has progressively become a world phenomenon, with the USA joining in 2009 and participants in over 80 countries throughout the world in 2016. From a regulatory point of view, a disease or disorder is considered to be rare, if it affects fewer than 200,000 people (US) or no more than 5 in 10,000 citizens (EU). At first glance, these figures may indicate that the number of people affected is not particularly high, but today with approximately 7,000 different disorders and more than 300 million people affected worldwide – of which 50% are children – rare diseases pose a major medical challenge.